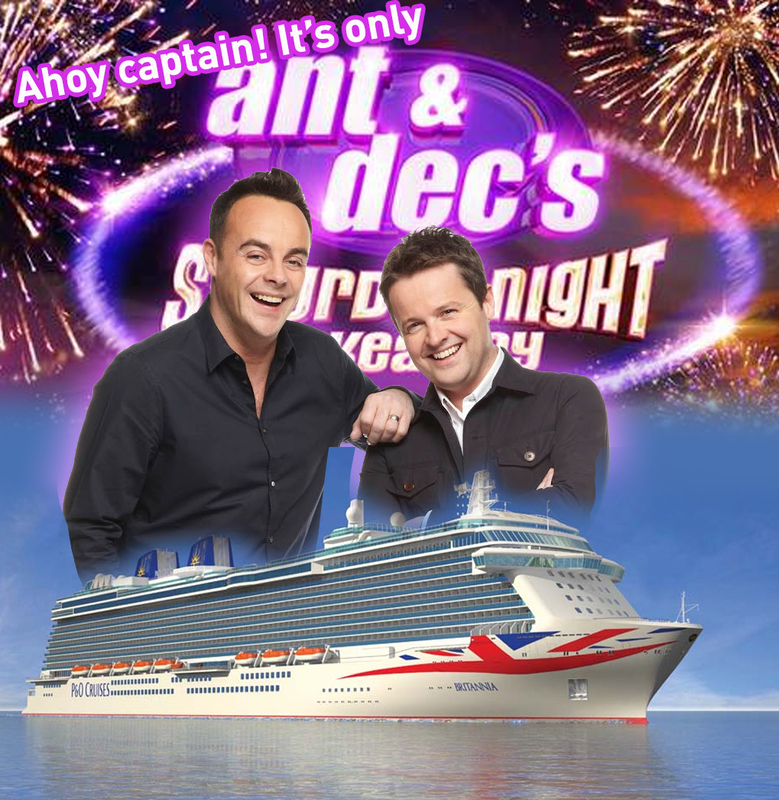 Britain’s favourite, BAFTA award winning, TV duo Ant and Dec are taking Saturday Night Takeaway to sea. Yes you heard it correctly, they will be broadcasting live from Barcelona on the P&O cruise ship Britannia on April 2 this year. With celebrity guests, hair-raising stunts, and plenty of surprises as well. And that’s not the best bit…We have secured some excellent offers for our clients on board this two week cruise! Why not take this opportunity visit Cadiz, Rome, Ajaccio in Corsica, and Gibraltar as well as being part of the show’s live audience in Barcelona. The 14-night cruise departs from Southampton on March 27, returning home on April 10. An inside cabin costs as little as £799 per person or why not upgrade to a cabin with a balcony for £999 per person. Please contact a member of our team for more information on 020 8882 0141.